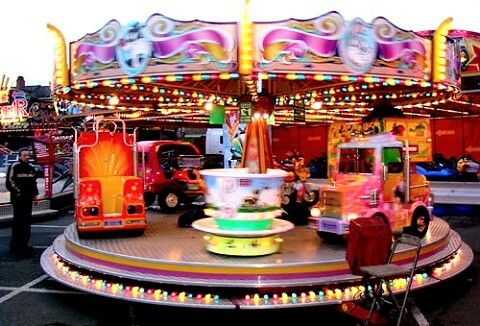 We are the sixth generation and one of the longest established funfair operators in the country and can supply you with a wide selection of children's rides, cup and saucers, mini waltzer rides, roundabouts, track rides and children's jumping Jack rides. 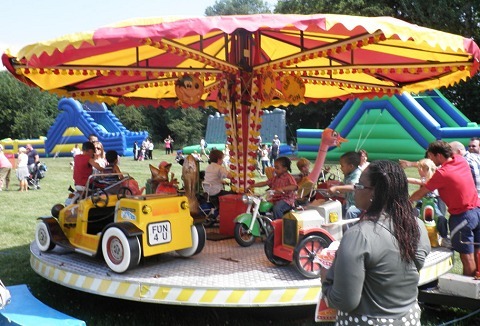 Fun fair equipment hire for all size events, private and corporate functions. The superior, deluxe and paratrooper merry go rounds, cups and saucers, mini ferris wheel to fit both adults & child, small merry go round ideal for younger children & toddlers. 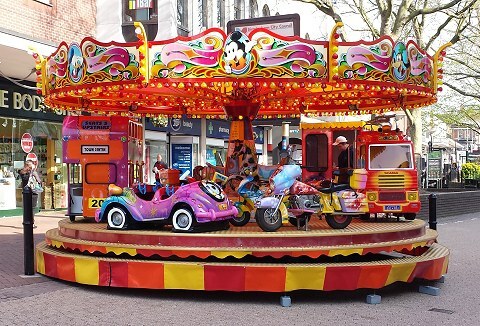 A full range of modern and traditional children's rides for events from, private parties to shopping centres. 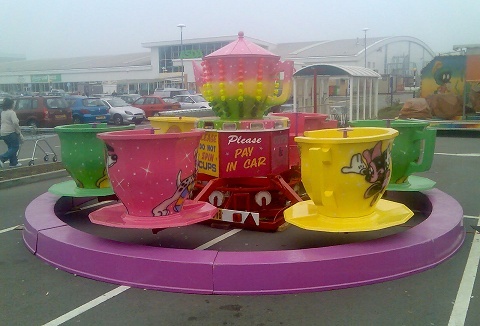 Rides include cups and saucers, children's track ride, trampoline, children's roundabout & balloon madness. Staff are fully trained & uniformed. We specialise in entertaining young children with a driving experience they won't forget. Our exciting 'Panther' go-karts can be used inside or out and work just as well on either tarmac or grass, as they race round our 16 x 11m portable inflatable track. 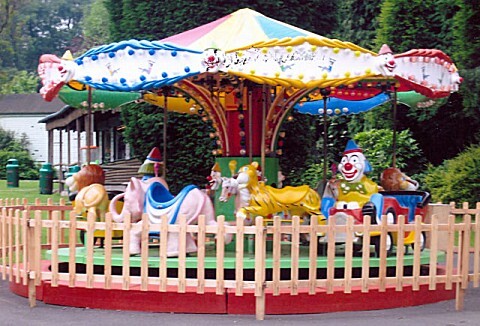 We supply and operate a range of children's amusements for corporate and outdoor events as well as private hire. 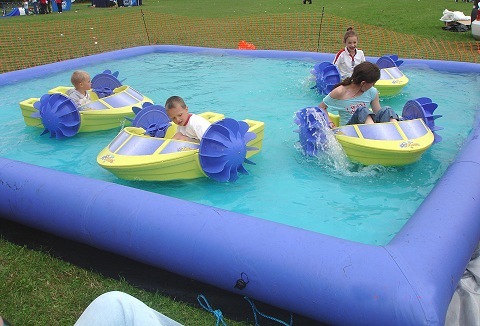 Keep safe & have fun with our water balls or paddle in boats on the boat lake, spin in the gyro space wheel or bounce on our 6 bed trampoline. 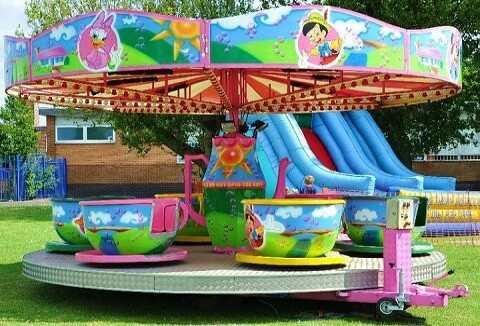 We are a family run amusement hire business that offers a full range of children's amusement rides from mini wheel to water boats, cup and saucer to swing boats for all types of outdoor events, county shows, festivals to private and corporate functions. If fun and smiles is what you are looking for then our fantastic children's rides will add that extra touch at your event. Children just love our traditional cup and saucer with bright Disney characters or riding the red decker bus on the merry go round. Are you organizing an outdoor public, corporate or private event? 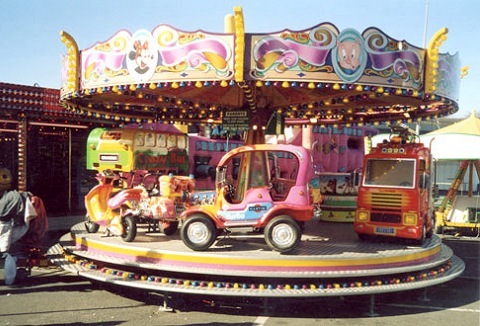 We can supply anything from a traditional mini galloping horses to a range of roundabouts plus a colourful train ride. 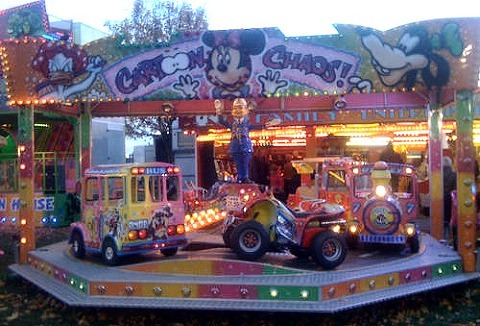 All children's rides are operated by fully trained uniformed staff.